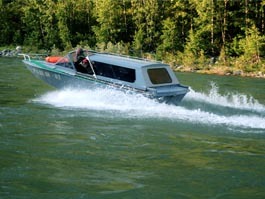 Description: Boat trips on the Katun river with its amazingly picturesque coast gives you a great emotions. The Katun River is the main water arteria of the Altay Mountains. It is very popular among those who is fond of as well as recreation holidays in the Altay Mountains. Katun is translated as "woman, mistress" from the Turkic language. The river is 688 km long. The Katun river originates in the southern sloep of the Katun mountain range of the Belukha Mountain near the Gebler glacier. The trip includes sunbathing on the sandy shore of the river and spending the whole day on a sunny picnic. The trip includes sunbathing on the sandy Katun shore and having picnic. Also you will visit the field of healing clay, whose properties you can experience for yourself. - You should have sunglasses, sunscreen, swimsuit, comfortable shoes as well as a camera and a good mood.